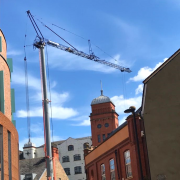 With more than 15 years working of experience with Potain Cranes, Mantis Cranes can boast the largest and most diverse fleet Pedestrian Operated Tower Cranes available. 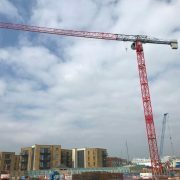 We provide City Tower Cranes with jib lengths from 12.7 to 65m and maximum lift loads from 2,000kg to 8,000kg. 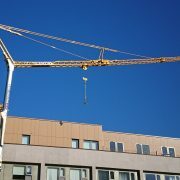 The Self Erecting Tower Cranes we provide are produced at our plant located at Donegal, Ireland. 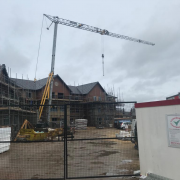 With many years of experience in the material handling and building development sectors, we are in an excellent position to assist our clients tackling the challenges that construction sites face. Our Crane Engineers overlook our sales process from order to delivery so that the highest possible standards are guaranteed for our customers. 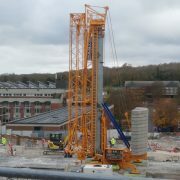 Along with with this we also have a range of Potain Tower Cranes available for ex rental sales or hire. 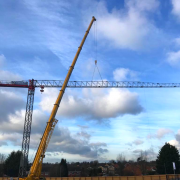 The Tower Cranes we have available on our fleet have jib lengths from 20m-65m and maximum loading lifts from 2,000kg to 8,000kg for world-renowned brands including Saez, Linden Comansa and FM Gru Tower Cranes. 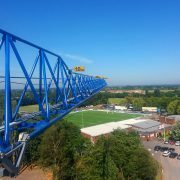 To view our Tower Crane fleet please click here. 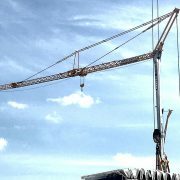 Over the years, we have provided Tower Cranes to Mantis Cranes clients in markets including Belgium, Iceland, Oman, Qatar, Brazil, Mauritius and Australia. Our current portfolio of clients features a number of the most successful construction firms in the United Kingdom and Ireland. 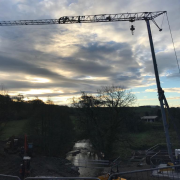 On each Potain Crane Hire project we carry out an in-depth consultative sales process so that we completely grasp the specific needs of our clients and can give them the perfect crane for the job facing them. By doing this we have built long-term working relationships with these clients. 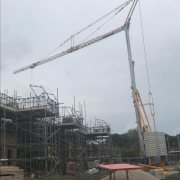 You can also view the range of Tower Cranes we have available you can see our brochure by visiting it on our website here.